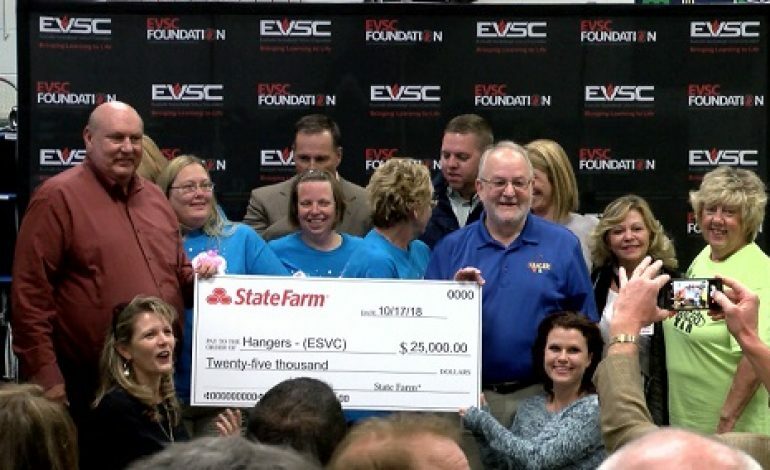 Hangers, the organization that helps EVSC students in need, has received a large monetary donation. The organization was awarded a $25,000 grant from the State Farm’s Neighborhood Assist Program. Thanks to community votes, Hangers won the grant over 200 other finalists from across the country. Local State Farm agents were on hand to present the check to Hangers. Once a year, students are given clothes, shoes, and hygiene products through Hangers. Donations are accepted year-round at their office at the Academy for Innovative Studies located at 2319 Stringtown Road in Evansville.